Author Notes: Wesley Wiggins, member of the 3.5 TennisHamptonRoads The Virginia Beach & Norfolk tennis online flex league since the Summer 2017 season. 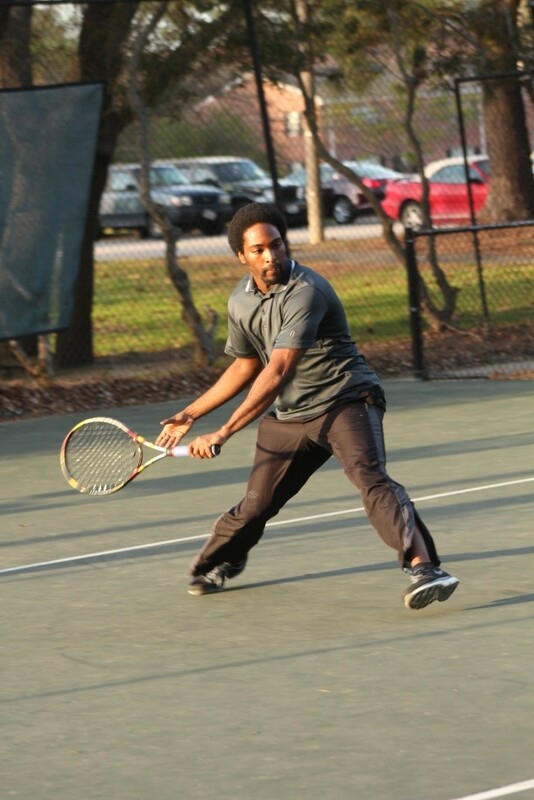 Tennis Hampton Roads inaugural year was a screaming success where we had large divisions for Spring, Summer and Fall Leagues. Have you ever gone looking for something that you thought you could find easily, but ended up feeling like you were in search of a needle in a haystack? That was my mindset until I stumbled upon TLN’s TennisHamptonRoads.com website while browsing Meetup.com. I’m what you would call a “vet” in the tennis world, having a resume that includes almost 3 years of playing experience, attending group clinics, and hitting against the wall…or backboard for the tennis pundits out there. However, while each of those activities were enjoyable, it was actual singles match play that I had been looking for as well as the chance to put into practice what I had learned. Thus, came the time for me to don my internet detective hat and begin the search for a league. Seems the obvious choice, right? The main overseer of tennis for the United States. They would definitely have a singles league that I could sign up for and get playing time! Unfortunately, this wasn’t the case as the majority of their leagues were doubles only aside from World Team Tennis (WTT) which only had one set of men’s singles once per week. The USTA site also had an option to sign up for a flex league but apparently (as of this writing) there are only 2 available flex leagues in the state of Virginia at the moment and they are both in Fredericksburg; that one was a miss! With the USTA being a no-go. I narrowed my search to local clubs around the area and came across a group that sponsored local tournaments. These were my bread and butter for the past year and a half, with numerous, well-organized and competitive weekend tournaments being held from May to October. However, due to them only being on the weekend and some of them being held a decent ways away from where I live, there were many instances where I was unable to attend them. The local tournaments were where I got my competitive match play experience, that is, until I discovered the TLN flex leagues. It was like a whole new world! A brand-new tennis site I never knew! No one to force where or when, or if play should end, they just give you reminders and suggestions…those Aladdin references. In all seriousness though, TLN was exactly what I had been looking for in a tennis league. In Price, Competition, Flexibility, Organization, and Comradery, it ranks at or near the top. $20 for a season with referral and early signup bonuses that reduce the price? In the words of Donnie Brasco, “Forget about it”. With TLN, you have 15+ different opponents to choose from on any day of the week at any agreed upon time. It’s always nice not being limited to one match once a week like other standard leagues. Not feeling so hot one week? Take it off and come back the next. No penalties or forfeited matches. Furthermore, TLN sponsors an end of the year tournament for league winners (of all TLN leagues throughout the coast) and avid players, providing an end goal for the more competitive and casual player alike. You’re given a list of names, numbers, and e-mails of everyone in your league as well as the ability to send a mass e-mail to all participants via the website. You are also given the e-mail of a very responsive league organizer. Finally, and most importantly, you can meet and build friendships with a variety of different players that love the sport of tennis, essentially expanding your network of tennis players…Tennis League Network?!? I see what they did there. If you’re looking for a fun, flexible, and affordable league, whether you are a casual or competitive player, then I highly recommend you give this site a try and, if you are ever down in the Hampton Roads area, I’m always up for a match! Till next time, may your first serve be in! 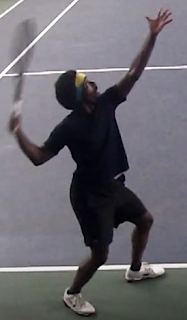 Author Notes: Wesley Wiggins, member of the 3.5 TennisHamptonRoads league since the Summer 2017 season. Here is a video of one of my matches from the Summer 2017 season! 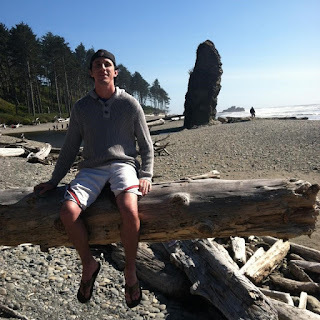 Ben Holland quickly played 27 matches since mid June and wanted to tell us about his experience. Since start of summer session, 2017. From a colleague referral, Sushil Sharma (also on the league). I play roughly two matches per week. Access to many players in the area with similar skill level. Also flexibility - not being restricted to a certain / time is great. 1) vs Jason Kraman - lost the first set 6-1 but came back to win the last 2 sets. 2) vs Fred M - my first loss, was memorable not only because the match was. 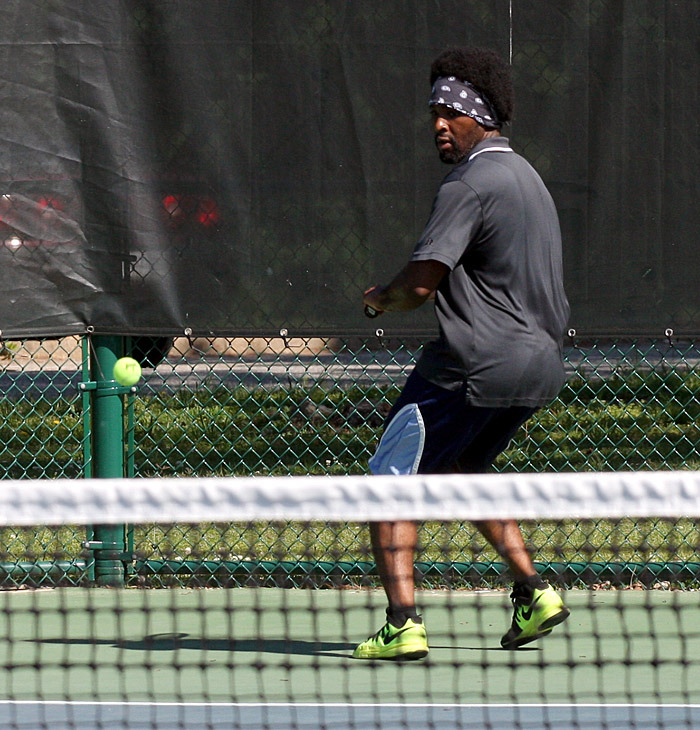 close (lost in a 3rd set tiebreaker), but also Fred and I have similar playing styles. 1) Jason K - Got to play 3 matches this session (he won 2) - we seem to bring out the best in each other. 2) Dedan T - We played 2 matches within a week, I was glad to win both but he's a great competitor and fun to play with. My father played semi-regularly. He got me a racket and got me into it when I was 11 years old. I love the competitive nature of the game. Uses a combination of hand-eye coordination, quickness, and other physical traits. But really it's a big mental challenge, which is fulfilling to try and bring out the best in myself while having fun, against players of a similar skill level. Lastly it's a good workout. I'm honestly not a big fan of going to the gym, running on the treadmill, etc. Tennis is fun and good health-wise. Favorite of all time is Sampras. Partly since he was in his prime from when I first played tennis to when I was in college. But also his simple yet very effective style and humility. Out of current players, I hate to give the obvious-choice answer but Federer has just been such a pleasure to watch. Not the hardest hitter, fastest or strongest, but just has so often found a way to win. I grew up in the Philadelphia area (Abington Twp). Went to Penn State for undergrad, and UC Santa Barbara for grad school in geography/Geographic Information Systems. All 6 years combined I played in the intramural tennis tournament, winning the tournament once at Penn State in 4 tries (great accomplishment I think given ~40k students) and twice at UC Santa Barbara in 4 tries (2 per year). I have been a consultant in GIS and statistics for most of my career. Starting early 2016 I am a Sr. Geospatial Analyst for Insurance company Chubb. 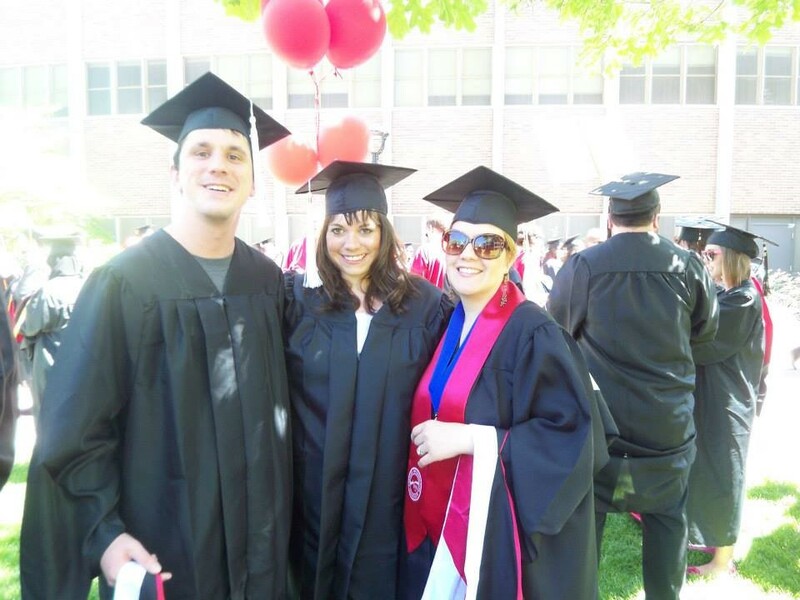 I married my wife, Jodi in 2013 and we have 1 son, Bryce who is almost 2 years old. Already got him a mini-sized racket! 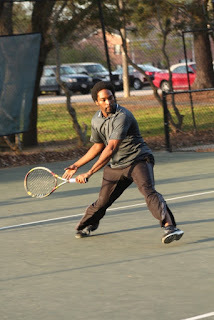 I began playing tennis my Freshman year of high school - the one-on-one nature of sport quickly had me addicted. For the last 3 years of high school, I played virtually every day, and now that I've returned to the sport I remember why I fell in love with it. I grew up in a small town in Eastern Washington that smelled like rotten eggs because of a giant paper plant in town. Naturally, I wanted to move as far away as possible so I moved to Hawaii and stayed for a year, before returning to the Pacific Northwest to do nine years of college, which although excessive, was still very enjoyable and rewarding. I currently work as a Project Manager for a language translation company, but will be looking to return to school and begin my Doctorate studies in a year because I miss teaching greatly. I love this league, there is always someone to play, and the matches have a perfect mix of friendliness and competitiveness. I began last fall, so a little over a year although I only played one match during the spring and summer because of a busy schedule.. I can't remember how I first heard of this program - more than likely I just Googled "Tennis league Portland" and this came up. Google is how I find out about a lot of things. When I have the time, I try to play as often as possible because the more I play the better I play, and of course the main goal is to win my league! I like the league because it gives me a chance to meet other players in the area, and most of all the ability to play our own matches. I have a busy work schedule so the flexibility allows me to play a lot more than if there was a scheduled date and time for every match. Hmm... rivals. I've played Jason Faas a number of times, and Jay Glaser. Toughest opponent was probably Alex Gardner or Chad Bulle from last fall. It was a big jump from the consistent style of other plays in the league to guys who can hit topspin with pace, a style like myself but evidently better on those days since I lost to them both. 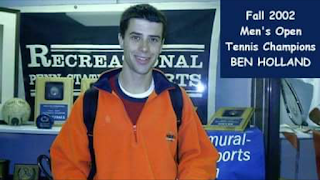 Memorable matches - Jay Glaser and I played some good ones, and Rob Schultz last fall I remember being a very epic match because it went late in the night at Grant Park. Basically, any three setter that I win. Great thing about the league is being able to play as much as you can. When I have the time, I can spend days looking forward to a tough match so the more time I spend looking forward to matches the better. I began playing tennis my Freshman year of high school. I fell in love with it and the next four years were spent playing tennis a couple of hours virtually every day. I love the game, and on a more neurotic level, I love the competition! Depends on the level. My senior year of high school I was tested and was a 4.0. But when I began this season, and especially last fall, I was much much lower. At this point I would probably say a 3.5. I love the work ethic aspect of tennis - the reward of putting the time in and seeing results. I'm a very competitive person, so I find just the competition to be rewarding. Djokovic! I wish he had been around during high school because I could have learned a lot watching him play (unfortunately Federer isn't a great guy to watch when you're trying to improve.) One thing I've focused on this fall, due to watching Djokovic, is increasingly using my left hand on the backhand to get a greater level of control and spin. I also like him because he's a goofball but also a bit of baby when things don't go his way and I relate! 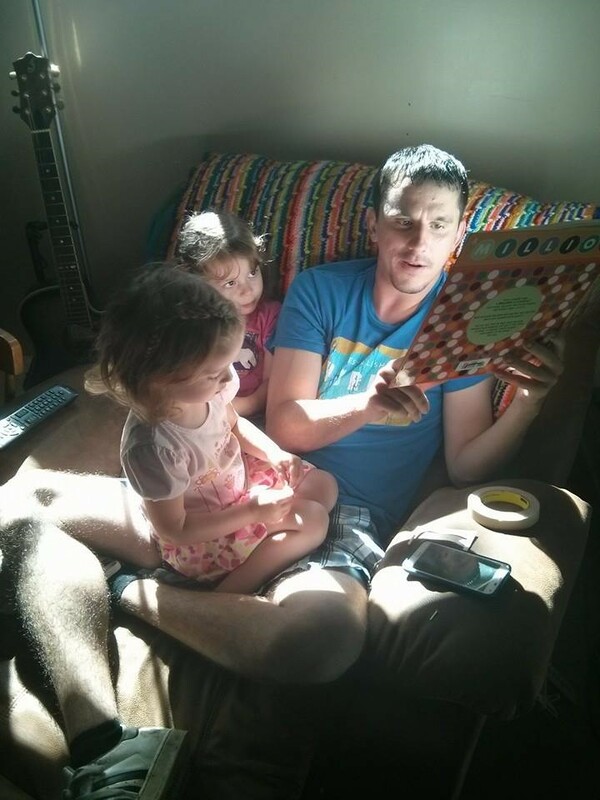 I work as a Project Manager for a language translation company out in Tigard, grew up in a small town in eastern Washington that I haven't been back to in years (with no plans any time soon), hobbies are books! I'm thinking about going back to school for my Doctorate so I've been reading a lot of plays and epic poems this year. Also play basketball when I can, and I definitely consider myself a movie buff.